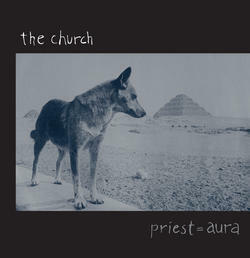 (2-LP set) "Priest = Aura" is the band's eighth LP and was originally released in 1992. This sprawling, psychedelic, surreal album is a creative peak for the band with a richly detailed widescreen production courtesy of producer Gavin Mackillop. The 14 track record features many classics and defies commercial conceits by opening with two long songs in "Aura" & "Ripple", continues through "Mistress" and "Kings", and ends with the epic, turbulent "Chaos" and the atmospheric instrumental "Film". "Priest = Aura" is a longtime fan favorite and lead singer Steve Kilbey's pick as the best album by The Church. First time available domestically on vinyl and first time ever as a double LP! In a wide spine jacket.